Bryce Larsen is going to Hollywood! Bryce Larsen appeared on the January 12th premier AMERICAN IDOL last night and advanced to the next round of competition. Our congrats to Bryce and we wish him tremendous success. 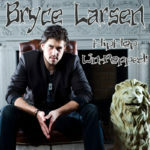 Triple Pop has started up a new album series tentatively entitled “Hip Hop Un-Popped” in conjunction with musician Bryce Larsen. 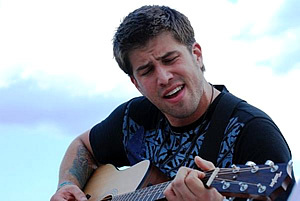 The ten-track album features Bryce’s unique acoustic guitar versions of popular R&B/hip-hop songs such as Disturbia (Rihanna), Green Light (John Legend), Crack a Bottle (Eminem), Heartless (Kanye West), Ignition (R. Kelly), Right Round (Flo Rida) and Whatever You Like (T.I) just to name a few. Hip Hop Un-Popped will be released on June 14, 2009 on iTunes, and awhile later on Amazon Mp3 and Emusic.